Once upon a time, I had a girlfriend. She had a family, and that family had political views. We assumed that our views were opposed. For six years, and two elections, we cultivated that assumption. No-one knew, no-one wanted to know, so no-one asked. Vast assumptions were made, and preferences were adjusted accordingly on election day. 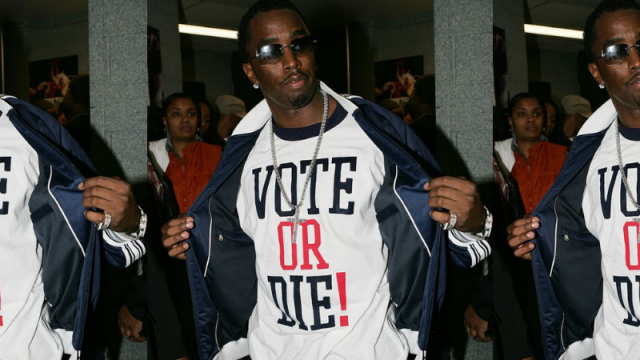 The question of who you plan to vote for is usually kept safe in two disparate worlds. They’re either all bastards, or the question is invariably returned to you without an answer. However, if you could, would you want to know which way your nearest and/or dearest are leaning? A rather invasive solution comes from the United States, which is extremely odd, considering that voting is a choice o’er there. 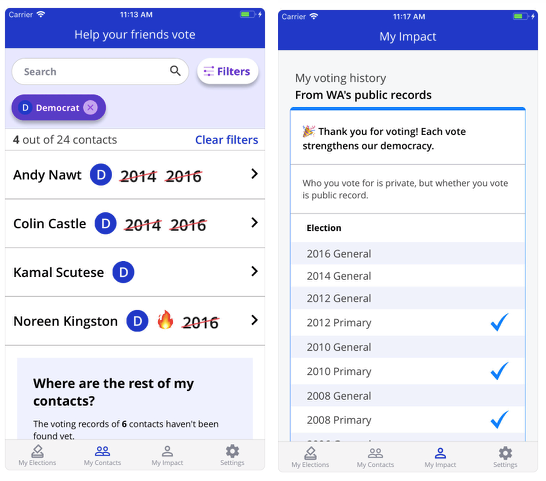 That didn’t stop a man called Mikey Dickerson, who decided to dox the entirety of the electorate, creating an app that uses public voting records to allow your entire voting history to be a thumb extension away. Like all things great and terrible, the app was created in the emotional vacuum. Dickerson wanted to know why Donald Trump won the 2016 election, and this was the eventual result. According to Dickerson, the magic of the app commences soon after you give it access to your contact list. Based on the names, phone numbers, and addresses in your contacts, the system makes an educated guess. In my experience, it was strikingly accurate. 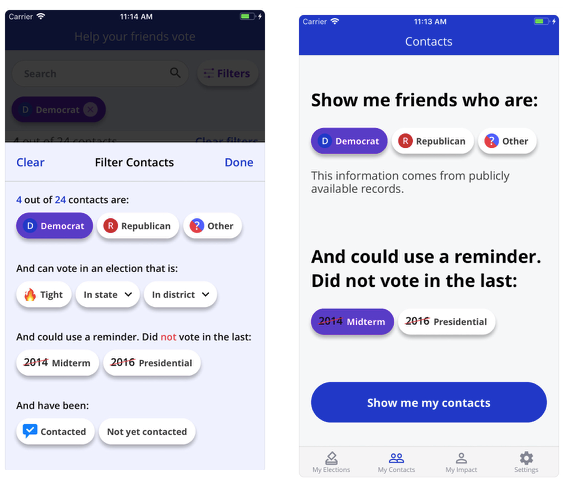 For hundreds of my contacts, the voting profile appeared to match what I knew about them. After checking with a dozen or so family members and friends, only one was misidentified. Strangely, the app also snitches, as it openly displays who decided not to vote in previous elections, affording the busybody that downloaded it a reason to knock on your door armed with some Dr Phil-grade home truths. Now, I know what you’re saying. Who gives a turkey about America, they’ve made their bed and can thusly writhe in it. But, can it happen in Australia? I rang the Australian Electoral Commission to confirm the availability of voting records to a third party. It was confirmed that while your voting history is recorded, it can only be pulled at the behest of the voter in question.